======================================================== ** WE ARE HIRING *** Interested in working for one of the most innovative mobile app companies on the planet? 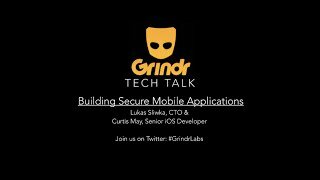 Check out www.grindr.com/jobs and contact: dakotta@grindr.com ======================================================== In case you missed our last meet up, Lukas Sliwka, Grindr's VP of Engineering, discussed architecture strategies being employed to ensure high availability and scalability of the Grindr 8 million+ user platform. 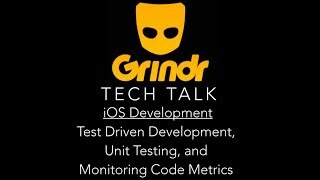 This month, Lukas and the Grindr iOS Team will be focusing on: Implementing Test Driven Development, Unit Testing and code metrics when building mobile iOS applications. What you will learn: 1) How to implement Unit Testing in Xcode using IOC Container - iOS Development Team will be going into code level giving an overview of dependency injection mechanism facilitated by Typhoon container. 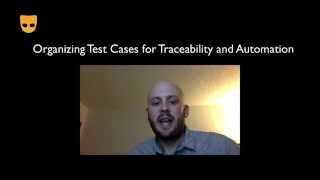 In addition, they will do a code walk through unit tests employing the IOC mechanism. 2) How to cleanly manage dependencies in Xcode - iOS Development Team will showcase and discuss the usage and configuration of CocoaPods dependency management framework. 3) How to setup Continuous Integration environment enforcing Xcode code quality metrics - Release Management team will discuss and present Grindr’s Xcode Jenkins build pipeline with its continuous integration and code quality metrics. 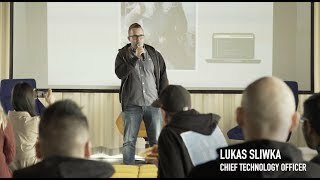 About the Presenter: Grindr’s VP of Engineering, Lukas Sliwka is a thirty-something technologist who's lived and worked in many different places around the world including Europe, Canada, and both coasts of the US. Lukas has a background in software engineering, agile methodologies, and agile transformation. He loves the disruptive nature of technology and seeks any opportunity to change the status quo. He recently joined Grindr to further its geo-social mobile platform and how it impacts the dating world. Lukas has also held key roles at Beachbody, Yamaha, and Mazda. Austin Clements of Ten One Ten Ventures gives his top tips on how to give a winning hackathon pitch for Hack4Equality. ======================================================== ** WE ARE HIRING *** Interested in working for one of the most innovative mobile app companies on the planet? Check out www.grindr.com/jobs and contact: dakotta@grindr.com ======================================================== Answering a question of who's around me for the millions of Grindr’s users in over 192 countries around the world is not a small task. Grindr's MongoDB geo spatial engine needs to support over 200 million geo spatial API calls per day resulting in 700 million database operations in the same time period (~8k operations per second). 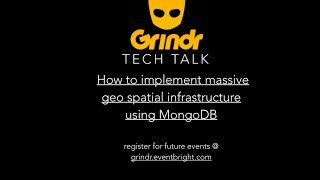 TOPIC What you will learn: -Why Grindr selected MongoDB to power its geo spatial engine. 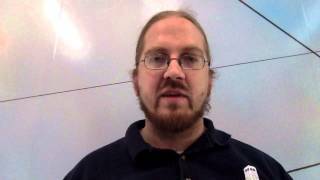 -How to setup high volume, sharded MongoDB cluster architecture. -How to implement geo sharding scheme in order to distribute MongoDB cluster across different Amazon geo regions. SPEAKER 1 - Lukas Sliwka Grindr’s VP of Engineering, Lukas Sliwka is a thirty-something technologist who's lived and worked in many different places around the world including Europe, Canada, and both coasts of the US. Lukas has a background in software engineering, agile methodologies, and agile transformation. He loves the disruptive nature of technology and seeks any opportunity to change the status quo. He recently joined Grindr to further its geo-social mobile platform and how it impacts the dating world. Lukas has also held key roles at Beachbody, Yamaha, and Mazda. See Grindr's Linkedin Page, Linkedin Group. ===================================================== Launched 2009 History Started as a living-room project six years ago, Grindr grew to be one of the biggest dating-messaging services in the world and the largest geospatial dating service for gay men. With users in 192 countries, Grindr handles peaks of 85 mil chat messages and 3 mil exchanges of chat images per day; has up to 450k concurrent users every minute; 10k Geo Spatial database operations per second; and 900 mil API calls per day. Bigger is Better Grindr's compensation model for engineering hires provides top of market (85%-95%ile) base pay and reflects Grindr's commitment to deliver best of class technology to our users. Our compensation program is designed to make us a "destination location" for the world-class engineering professionals we need to hire/retain to grow and succeed. Engineering Engineering excellence is at the focal point of everything we do at Grindr. We are an agile shop and we use combination of agile practices like XP, SCRUM and Kanban to build our systems. Our users today have a choice of iOS and Android native clients. All client functionality is powered by RESTful APIs, as well as, XMPP protocol for real-time chat. New Grindr 3.0 stack is built on Non-blocking I/O Akka framework utilizing Scala and Java technologies. We also leverage cloud based, globally distributed architecture utilizing Amazon managed services like Elastic Bean Stock, DynamoDB, Elastic Cache, Elastic Search, SNS and SQS. Realtime chat infrastructure is powered by MongooseIM XMPP technology and custom XEP extensions to support advanced chat features. Finally, infrastructure as code principles is at the heart of the new system management with Zookeper and Chef at its core. 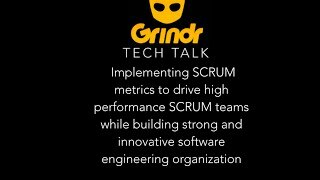 Grindr hosted a company-wide Hackathon on June 1st and 2nd, 2017. Team members from all departments were able to take part and help generate innovative and creative ideas, code, and pitches. Discover the tools and methodologies Grindr uses to develop its next generation Android apps. 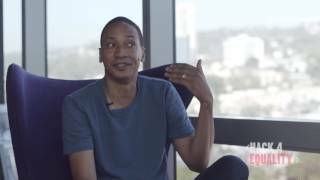 Filmed and edited by Matthew Kanninen, Senior Android Developer at Grindr. 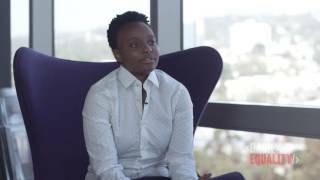 Jessica McGlory of Yang Ventures gives her top tips on how to give a winning pitch at Hack4Equality. At the risk of sounding like click-bait... some of them may surprise you! 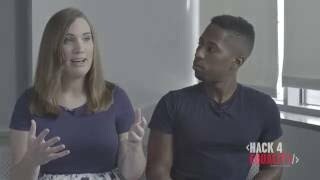 Sarah McBride and Noel Gordon Jr of Human Rights Campaign talks about issues around Transgender visibility and economic empowerment, how little interactions can make a big impact, and how technology helps to further the cause.